Do you have a document issued in the state of Washington? Do you have to present this document in a foreign country? 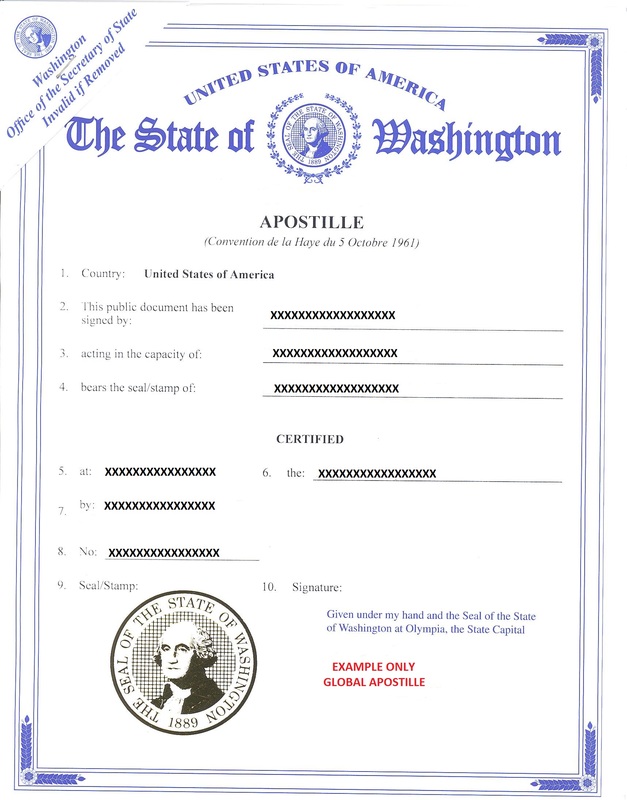 "I highly recommend Global Apostille. They take on the daunting responsibility of the apostille process and simplify it for their clients. They give you the cost upfront and there are no hidden charges. The communication is excellent. Any question you have will be answered in a timely manner. And their follow up with me was much appreciated."